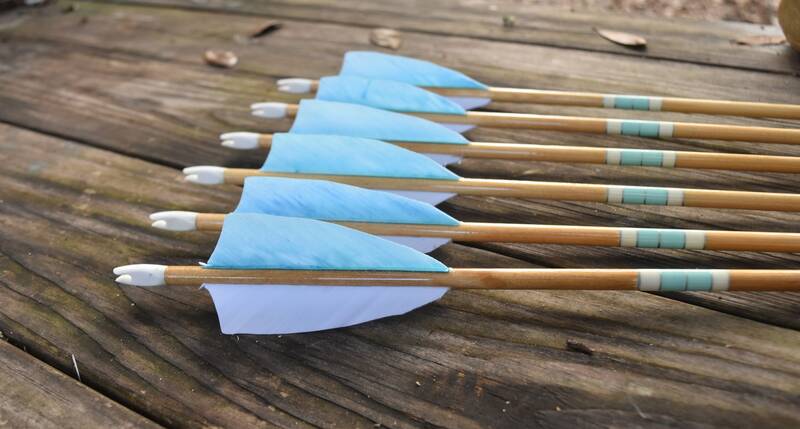 These arrows are elegantly simple. 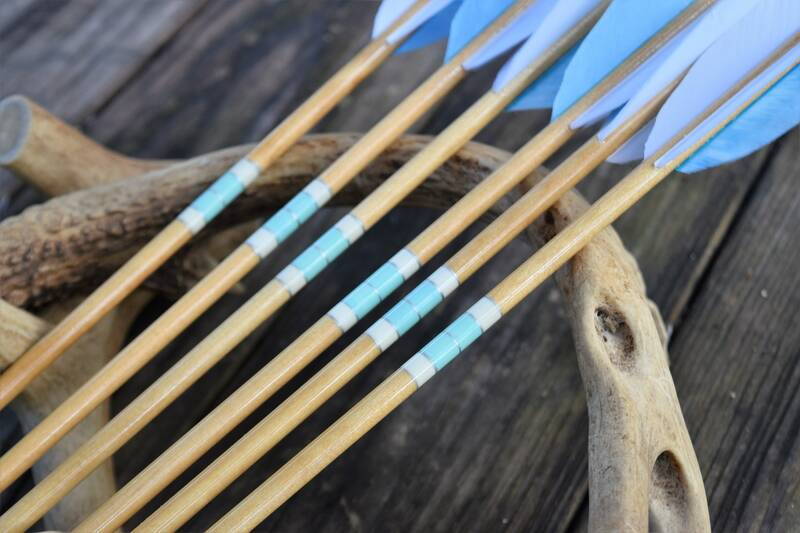 This set of 6 arrows has been left a natural wood with a simple Teal, white and silver cresting. 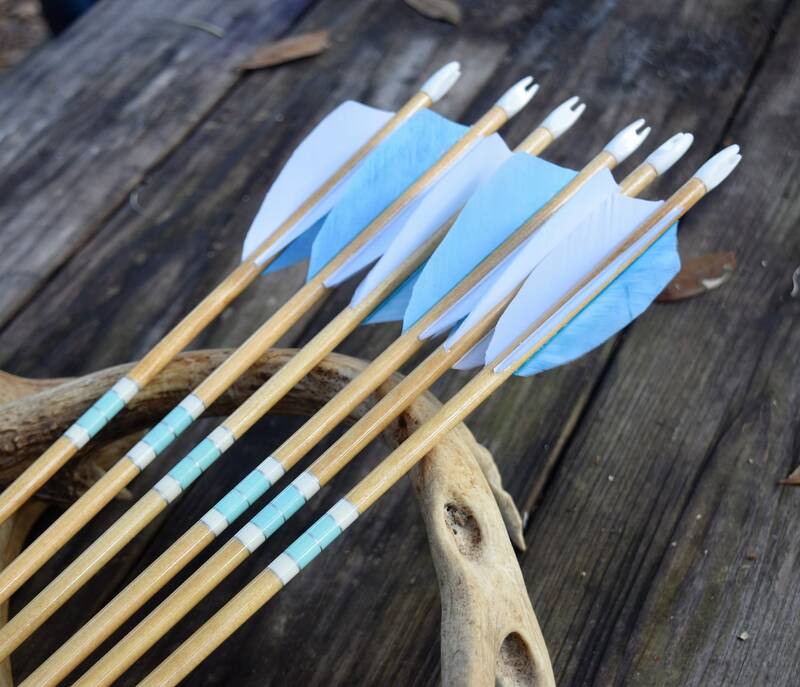 They are fletched with shield cut turkey feathers, two white and one teal. They were then finished off with white nocks and field points. If you are unsure of what spine weight will be best with the bow you shoot please contact us and we will give our recommendations. If you would like these in Port orford cedar we have it available in 30-35# and 35-40# for an additional cost, please contact us for this option. 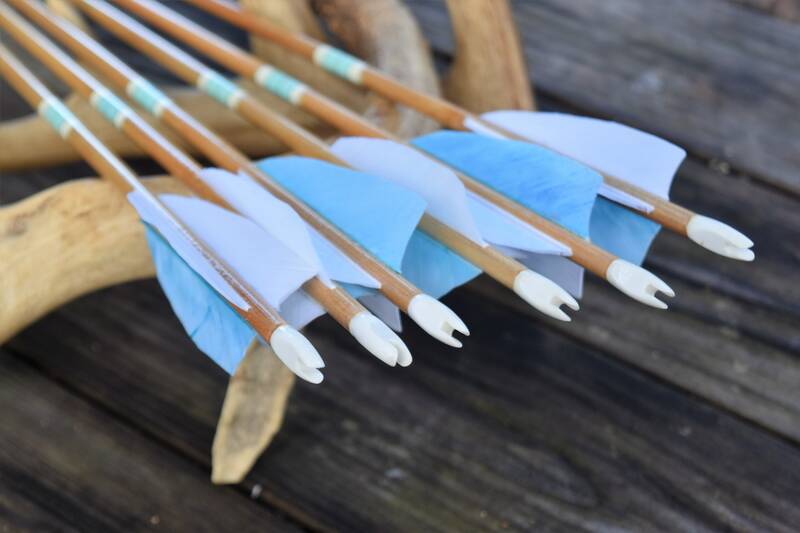 These arrows will be made to order, please indicate draw length and spine weight on drop down menus. Allow for 1-2 weeks for delivery. 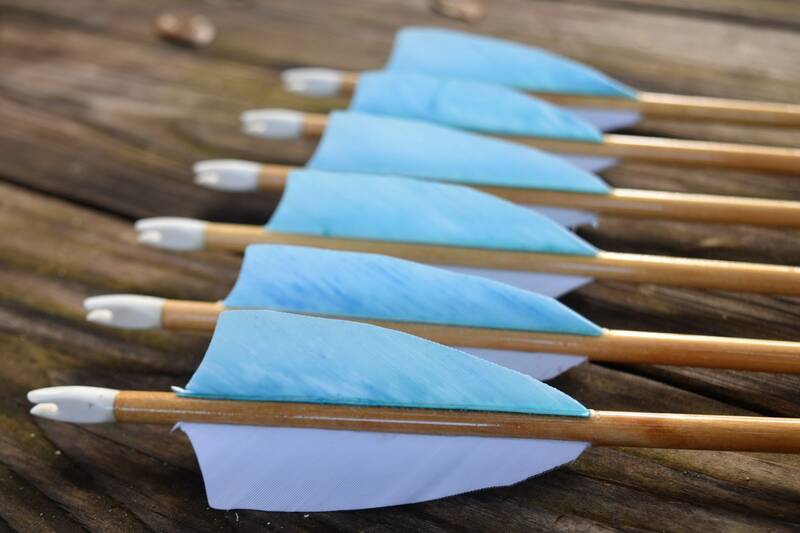 Please keep in mind that these arrows have been lovingly hand crafted, hand crested and finished by me to a finished product and therefore a few imperfections may be visible. 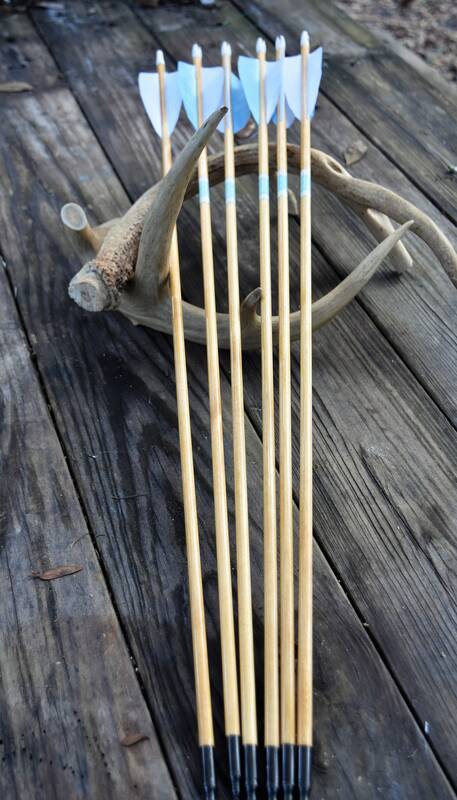 I hand straighten all shafts myself multiple times throughout the process but you may have to straighten them as you shoot, please contact me or do research about hand straightening wood arrows. 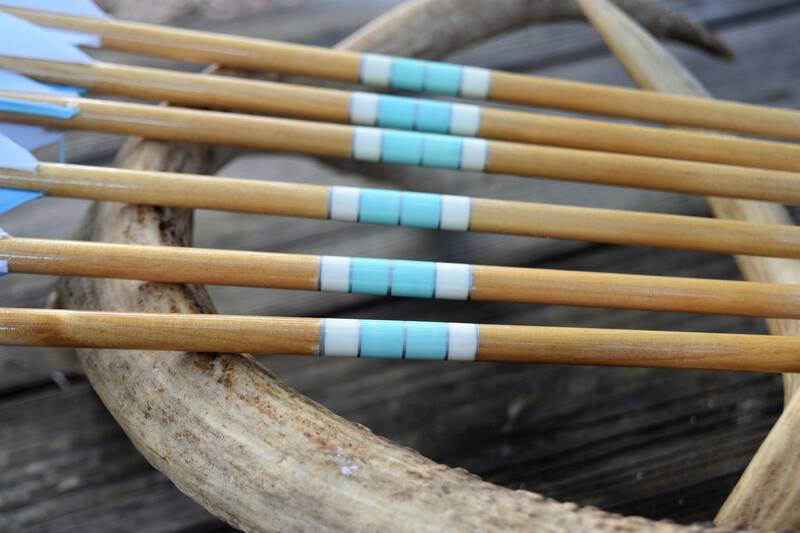 Are you looking for something more unique? 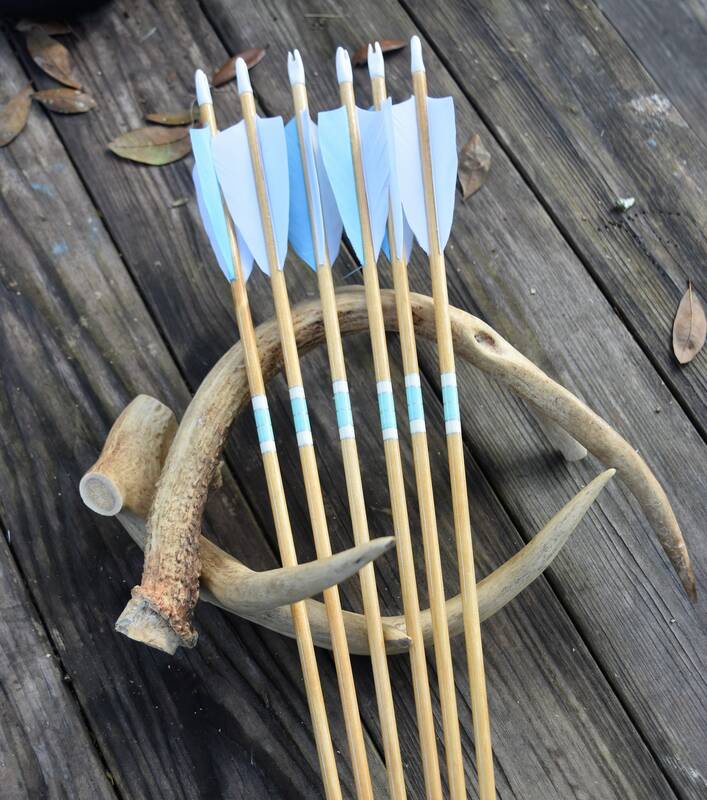 Contact me about custom made arrows, I will work with you to get the arrows you dream of.